I read this article and found it very interesting, thought it might be something for you. The article is called Educating Girls Can Reduce India’s Population Spiral and is located at https://archive.indiaspend.com/cover-story/educating-girls-can-reduce-indias-population-spiral-59652. 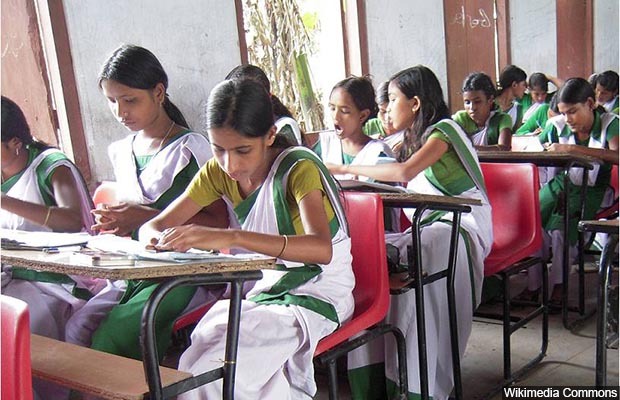 If a girl in India studies for 12 years or more–till the age of 18–she is less likely to have teenage pregnancy, less likely to have shorter interval between children and less likely to have more than two children during her lifetime, according to the latest national health data. A woman with no schooling has her first child at 20. Almost one-third or 33.6% of India’s population is born of adolescent pregnancies; delaying the onset of child bearing could reduce India’s projected 2050 population of 1.7 billion by more than a quarter, IndiaSpend reported on January 12, 2018. If a woman studies for 12 years or more, she has an average of 2.01 children, compared to 2.2 for all women and 3.82 for women with no education, based on the mean number of children born to women aged 45-49–a period that marks the end of a woman’s fertility. “Postponing first births and extending the interval between births have played a role in reducing fertility in many countries,” said the NFHS-4 report. 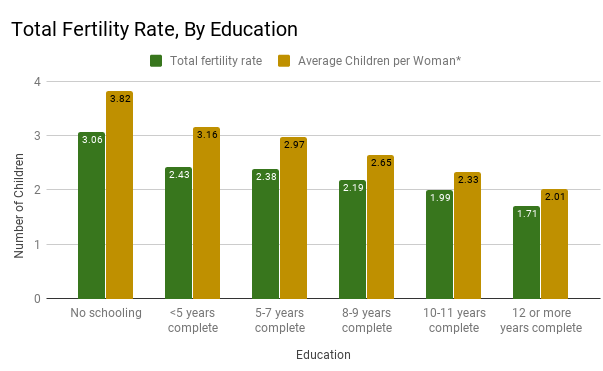 The total fertility rate for women–the number of children she will have in a lifetime–between 15-49 years is even lower at 1.71 for women with more than 12 years of education compared with 3.06 to women with no education and 2.2 for all women. “Education is the best contraceptive pill,” said Poonam Muttreja, executive director, Population Foundation of India, an advocacy working on family planning. Only 4% of women with 12 years or more of education have teenage pregnancies compared with 8% for all women and 20% for women with no schooling. Children born to educated mothers have higher chances of survival; under five mortality–deaths per 1,000 live births of children under five–of children whose mothers had no schooling was 67.5 while it was less than half (26.5) for children of mothers who had more than 12 years of schooling, IndiaSpend reported on January 16, 2018. Only 21.5% women aged 15-49 had studied for more than 12 years, compared to 29.6% of men. In 2017, only one in five adolescents–14 to 18 years–had completed eight years of schooling and by 18, 32% females are not enrolled in schools against 28% males, according to the latest Annual Survey of Education Report, IndiaSpend reported on January 17, 2018. So what’s new? We had proof of this at least 40 years ago to my knowledge.